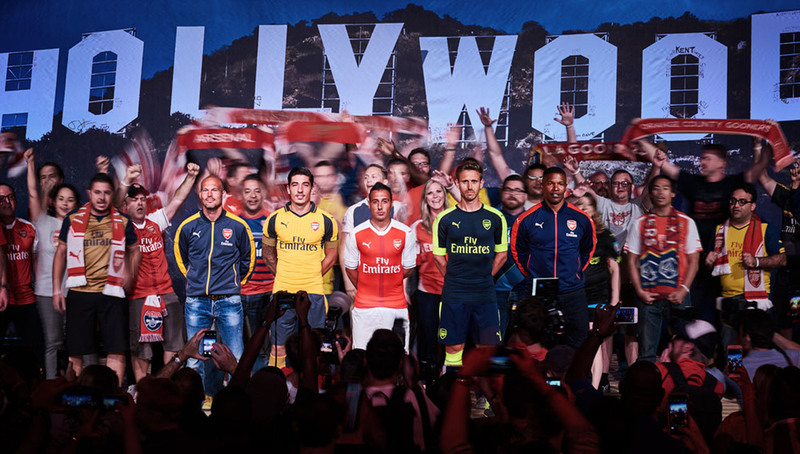 Enlisting Hollywood support to release away and 3rd Kits for the 2016/17 season, Arsenal and PUMA combined in LA for their latest kit launch. Mixing film with football, it was Gunners’ fan Jamie Foxx who was on hand to stir up the crowd ahead of the official unveiling of the kits that Arsenal will take on their travels for the 16/17 season. 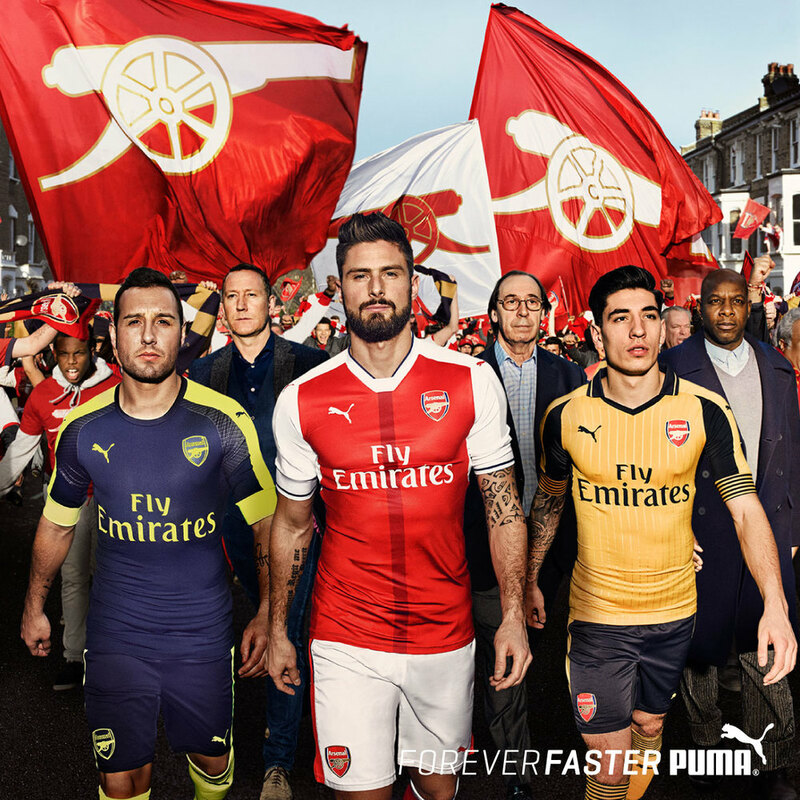 Arsenal's PUMA players in the mix also; Santi Cazorla, Héctor Bellerín and Nacho Monreal modelled the kits to an audience of Hollywood celebrities and fans in a recreation of the ‘We are THE Arsenal’ campaign. The kits themselves not short in colour, the yellow away is rounded off by gunmetal grey details, PUMA has created a traditional kit with the aim of celebrating history while keeping things contemporary with it's Jacquard pinstripes and a grey fold over collar. 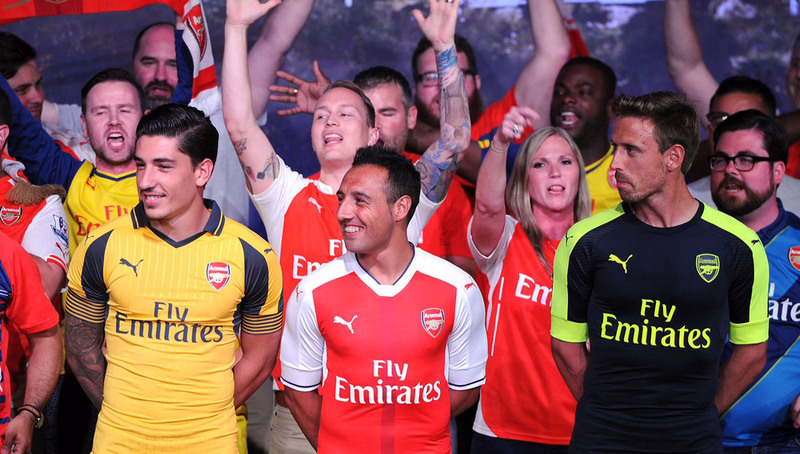 Loud and proud, the third kit has been designed in a dark blue hue. It is is complemented with bright injections of safety yellow in the PUMA Form Stripe along the sleeves and cuffs too. The 'We Are The Arsenal' campaign is one that has travelled the world as the club embrace their unquestioned support from all over the globe.